YOUNG JAMES FROST just knows, deep in his bones, that he's a writer. He writes far into early mornings, after his wearying hours of scrubbing toilets and sweeping floors. He loves writing that much. But it's not only the joy of words that keeps him grinding; it's his desire to retire the janitor's mop. He sees being published as the key to living an improved life. James has another deep-seated conviction: that he's not good enough. He secretly longs to be accepted. However, the conventional others in his life seem all too willing to remind him that he's wasting his time. Then he meets and falls in love with Leigh, the one bright spot in his endless misery of self-doubt. A quiet but resolutely religious girl, she has to fight off disapproval of her own from overly critical parents, whose insults are countered by James's often-voiced admiration of her. Likewise, Leigh's faith in his talents begins to build his confidence, eventually allowing her to introduce him to a different way to help himself: relying on God. Ultimately, James's newfound faith is sorely tested to the point of doubt when his dream to be published seems to melt into a mirage, smothered by countless rejection slips from agents and publishers. His faith is also battered by having to fight highly emotional battles and suffer fear and loss. Just when James appears hopelessly sapped by devastating events, one last door opens, and he's rocked by an epiphany. UNCONVENTIONAL is designed to inspire readers to reach for their dreams. Buy this book. Read it. Share it with everyone you know. You—and they—will be glad you did! 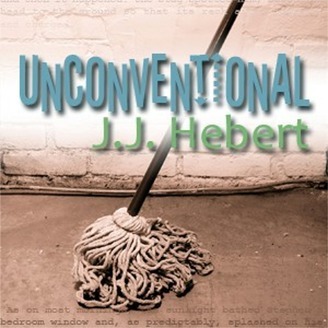 * * * * * * REVIEWS: "Unconventional is a wonderful story full of heart, humor, and what it means to truly be successful. An A+ novel for the keeper shelf." –Gemma Halliday, award-winning author "I loved Unconventional, a stirring love story and spiritual journey that will surely touch your heart. You’ll remember James Frost for a long time!" –Cecelia Dowdy, inspirational romance novelist. The final episode of Unconventional. Prepare yourself for an exhilarating conclusion... Thank you for listening! 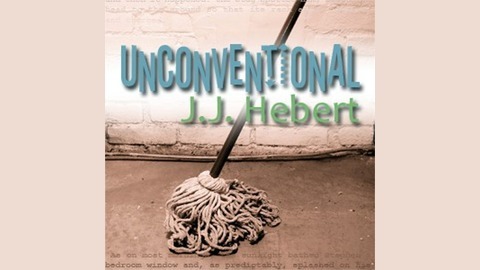 Please show your support by recommending Unconventional to family and friends.